Severed from the internet after my laptop’s ‘face’ slipped so I couldn’t find the icons and commands at the bottom, I’ve been unable to send emails or post blogs and lived a carefree time of neglect. My antiquated computer in Beverley still functions, but I have been in Italy harvesting olives. I have taken a forced internet holiday – until now. My new computer is linked up, though there are threats that, if I don’t sign up to my Office account, something dreadful will happen. They ask for an email. I’ve tried with the obvious email, mine, and that isn’t recognised, so I’m flummoxed. 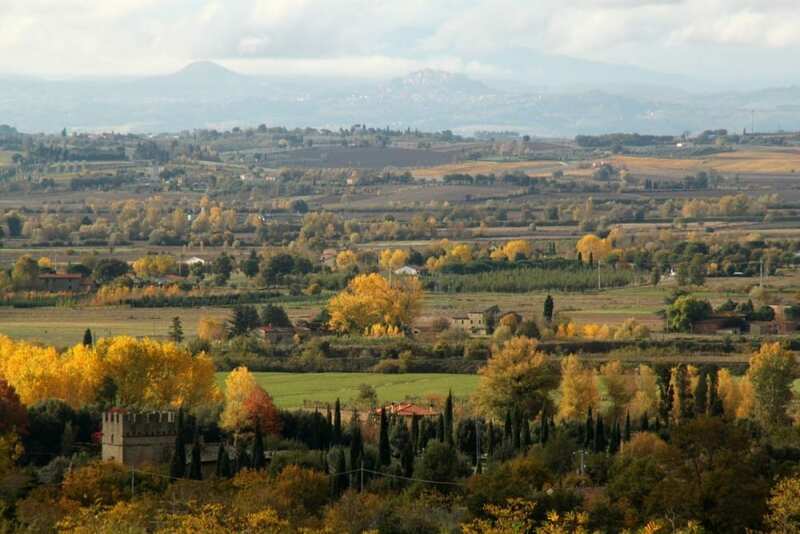 I live in hope and gaze out over the ever-changing view of my Olympus, Monte Amiata. Now the cone emerges from clouds in the valley behind the lower range with Monte Cetona to the south and Montpulciano right in front of us over the once-swampy valley of the Val di Chiana. In the early 16th century, Leonardo walked the hills where I’m writing this to sketch out his map of the area, a shallow lake of water from the streams like the one below us. It would have been right where I’m looking now. The main drainage canal is straight below us. Some say that the lake in the exquisite predella panel below the Fra Angelico Annunciation in the Cortona Diocesan Museum. 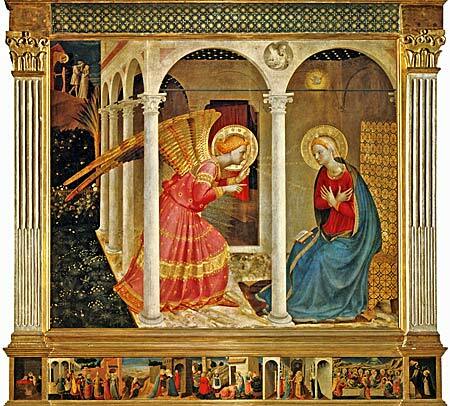 He painted it while in exile from Florence during the late 15th century. Some say it is the first landscape painted from observation.